© MATTHEW ENGEL. All rights reserved. 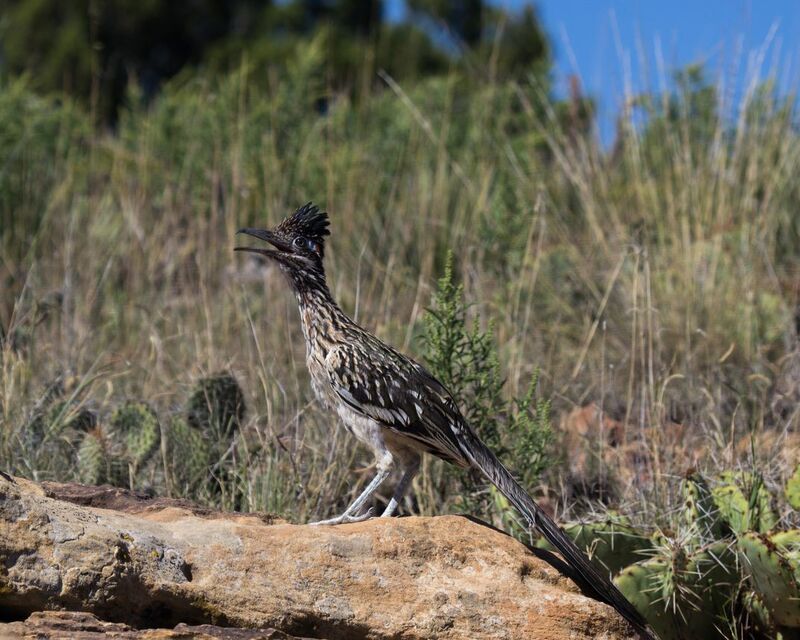 A Roadrunner posing on a rock inside Black Mesa State Park. I like to drive around the state parks to try and get shots of wildlife. Now in the Oklahoma panhandle you see a ton of roadrunners, but they rarely stick around for you to get a shot. This guy, however, stopped dead in his tracks when he saw us driving up and hopped on this rock so I could get his photo. Every once in a while he'd puff up his cap feathers. It was one of the most fulfilling outings Ive been on. Date Uploaded: Oct. 23, 2015, 11:42 p.m.